Hurricane Maria ripped through the Caribbean as a Category 5 storm yesterday, making landfall on the island of Dominica with winds reaching 160mph, per The Telegraph. Roosevelt Skerrit, the prime minister of Dominica, wrote in a Facebook post early Tuesday morning that the island has "lost all what money can buy and replace" and initial reports are of "widespread devastation." Maria's path: The storm is expected to travel along roughly the same route as Hurricane Irma, including Martinique, Puerto Rico, the U.S. and British Virgin islands, Barbuda, Anguilla, Barbados and the Eastern Dominican Republic, according to the National Hurricane Center. The storm could make landfall in Puerto Rico as early as Tuesday night. At least one person has been killed as a result of Maria. It was reported in the French island of Guadeloupe, per AP. A hurricane warning is in effect Tuesday for Guadeloupe, Dominica, St. Kitts, Nevis, Montserrat, the US and British Virgin Islands, Puerto Rico, Culebra, and Vieques. Puerto Rican Gov. 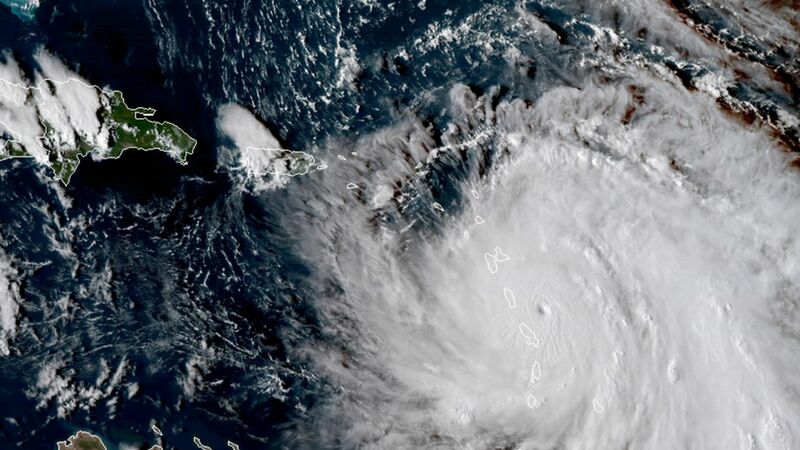 Ricardo Rosselló declared a state of emergency Tuesday and stated that the storm "is an event that will be damaging to the infrastructure, that will be catastrophic. Our only focus right now should be to make sure we save lives." An emergency declaration for Puerto Rico was also issued by President Trump to aid with federal assistance. Go deeper: Caribbean islands leveled by back-to-back hurricanes.